This elegant blouse is cut from a beautiful sheer organza-like fabric with a subtle striped texture. 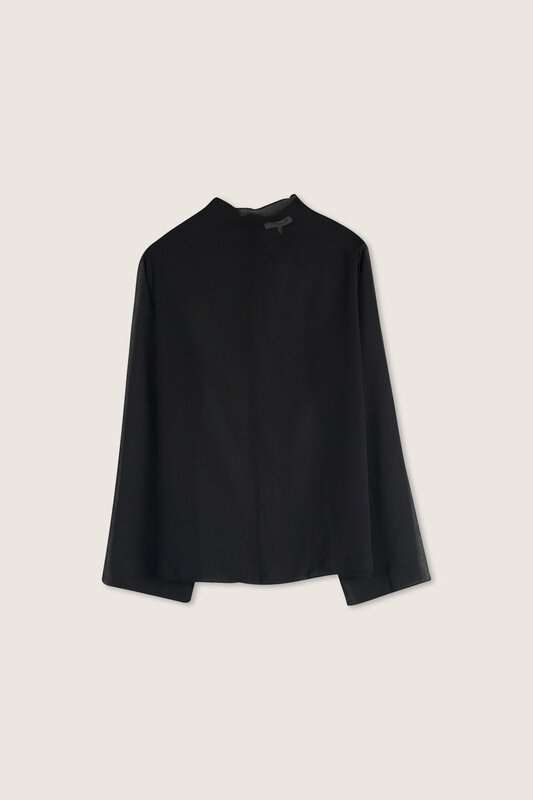 Featuring a mock-neck, zip fastening and wide sleeves, this blouse has a light airy feel that works well when layered over a bralette or tank. For a demure elegant look, layer this blouse over a lace bralette and light tuck into a pair of high waisted trousers.